The pantry is a place where we spend quite a bit of time. 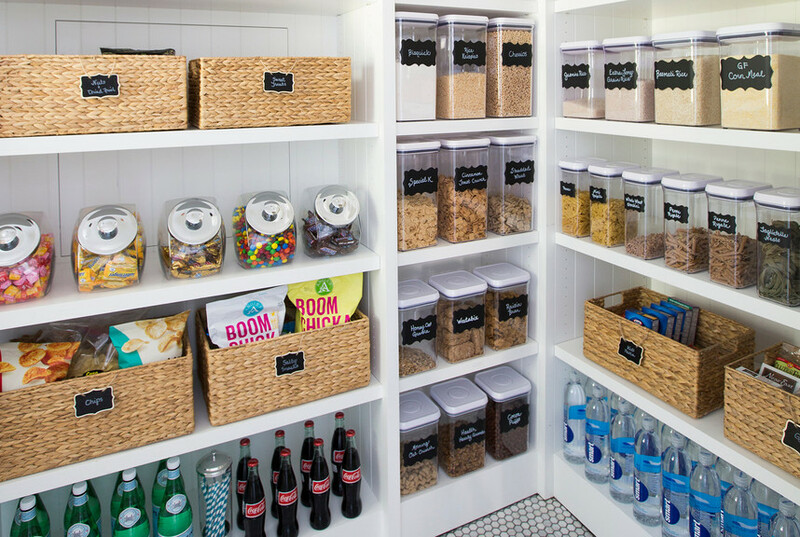 It's a go-to for snacks, dinner ideas, baking staples and a hub that keeps your household organized. 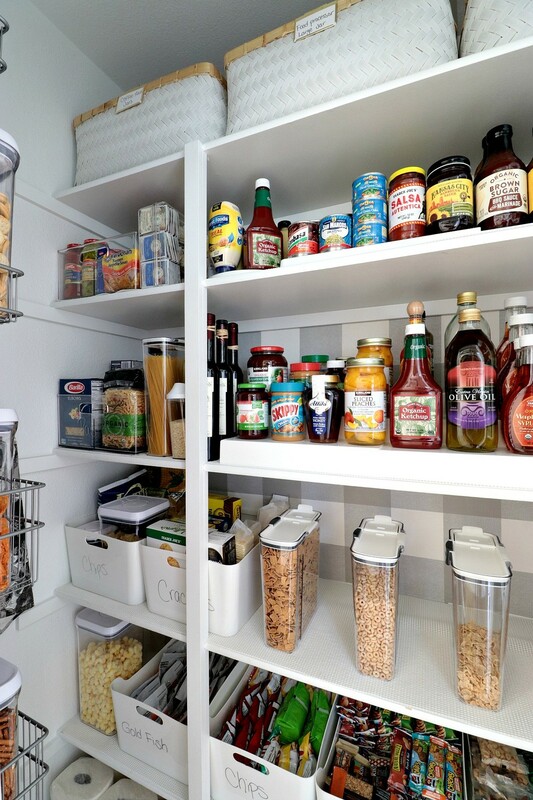 Thankfully, The Container Store and I partnered together to help overhaul my cluttered pantry. 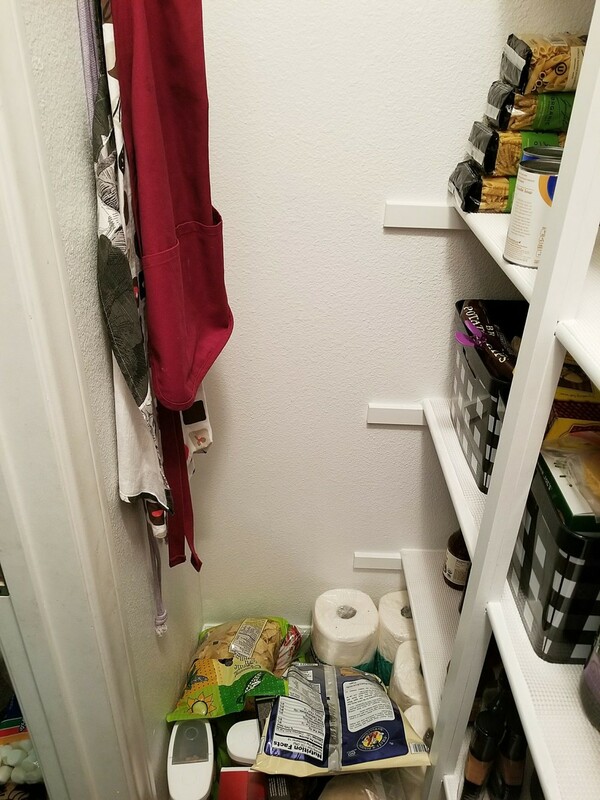 As a mom, I LOVE an organized pantry, but mine was never that organized, and I was never really satisfied with how it looked. 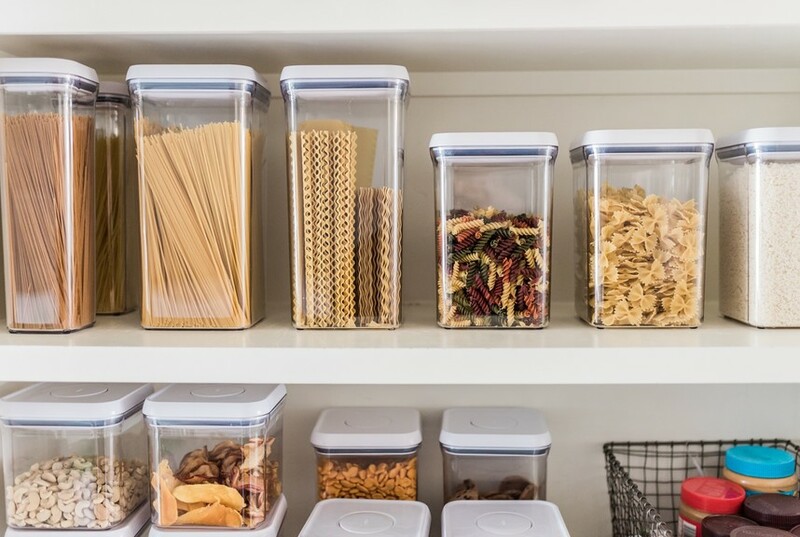 The Container Store carries amazing organization products that can help any pantry, no matter the size, function at its best! 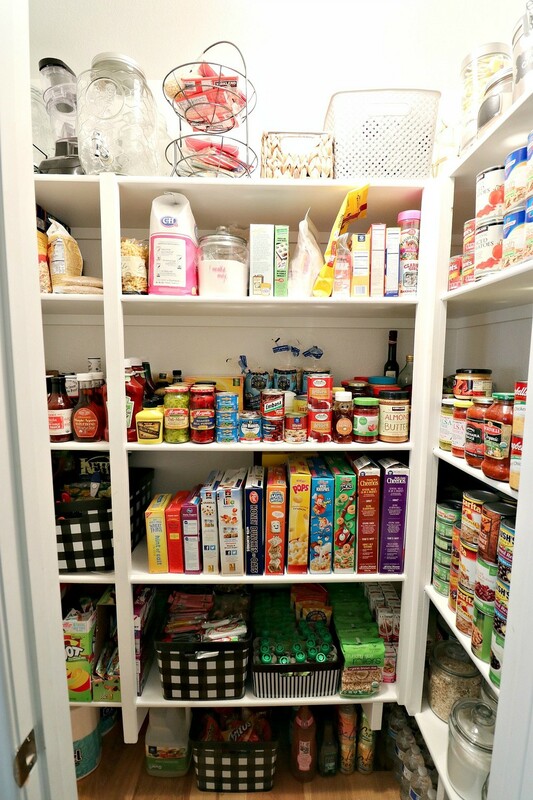 Let's get started by taking a look at what my pantry looked like BEFORE I went to The Container Store. By no means was my pantry the most unorganized pantry in the world. But it always looked sloppy, and nothing ever stayed organized no matter how much I tried. I soon found out that it was because I had never had the right organization products. This is a picture from when I attempted to organize the pantry the first time. It looked great for about three days, and then items slowly ended up in the wrong spot by continually getting crammed back in wherever I could fit them. I never had designated spots for anything, or storage baskets to keep everything in its place. BUT NOW - it looks like this!! So? How did I do it! 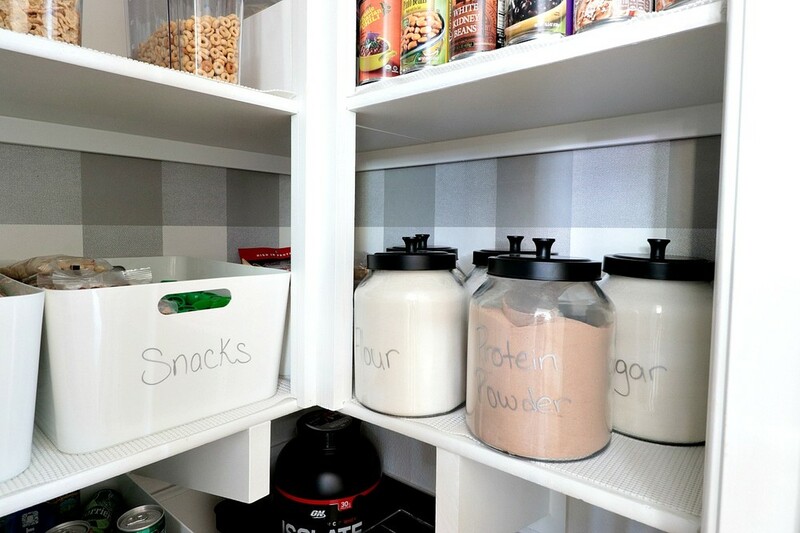 Let's get down to the nitty gritty details of pantry organization! 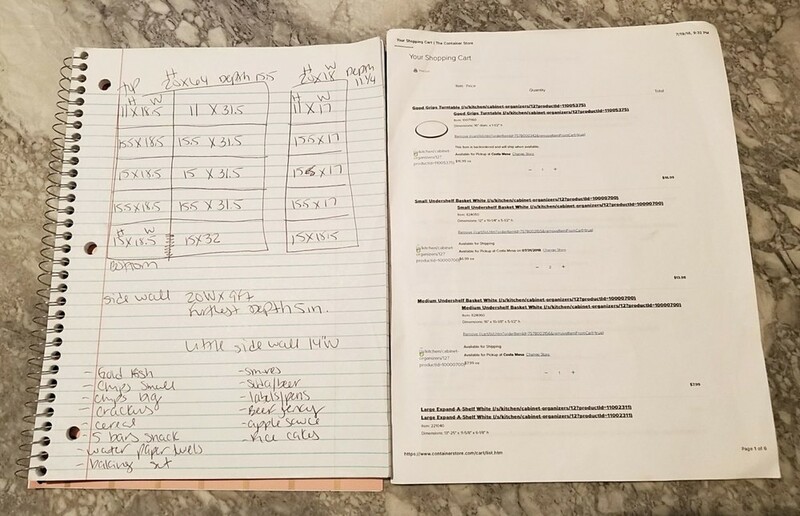 When you're getting ready organize your pantry, sketch it out on paper and write down all the measurements. It also helps to think about all of the items you know you need. 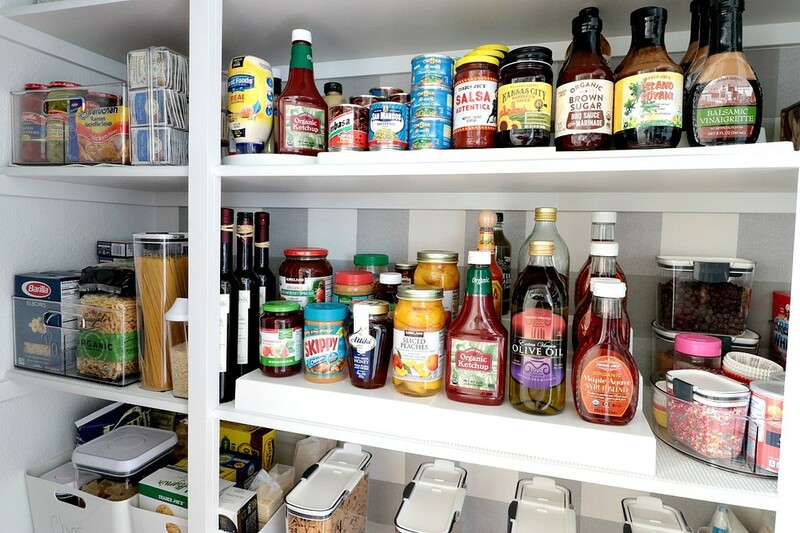 Additionally, ask yourself what some of the pain points are when it comes to the current state of your pantry. What items can you group together in bins? If you don't live near a store, you can order everything you need on their website and have it shipped to you. Thankfully, their website is easy to navigate, and has plenty of photos with great info on each product. Since I happen to live near a store, I wanted to check everything out in person, and of course, share it on my Instagram Stories with all of you! The first item on my wish list I knew I absolutely had to have were these ProKeeper Cereal Containers. I tried other cereal containers in the past, and they never fit a full box of cereal which left me with bags in the pantry. Kinda defeats the purpose of a container at that point, right? Thankfully, these cereal containers fit the larger size cereal boxes with ease! My family eats a lot of cereal here so these were a must, I actually ordered two more when I got home because I saw I had even more spaces on my shelves now now. Soon, we'll have six containers in total! Before getting these containers, my biggest pet peeve was going to grab a box of cereal - only to find out it was pretty much empty! Well that is no more thanks to these see through containers. 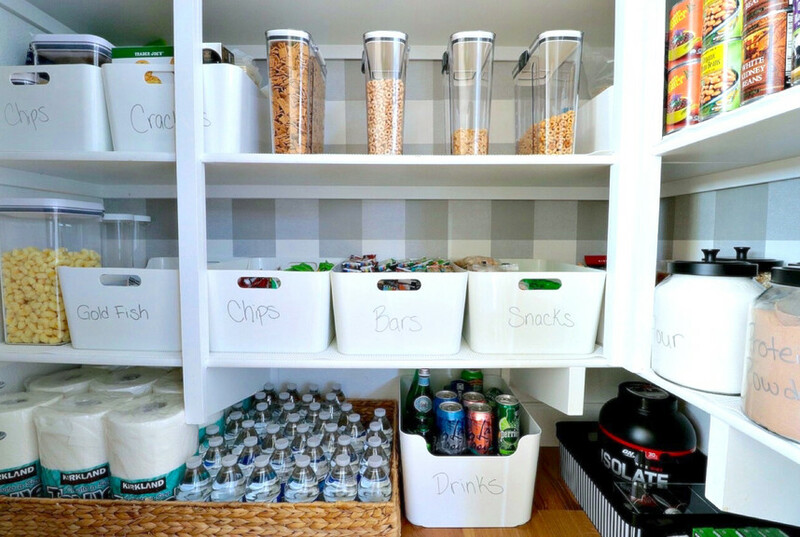 The next items I I knew I needed were storage bins for all the kids' snacks. These Large White Bins are amazing! They not only hold a ton of snacks, but the price is great, too. In fact, I loaded quite a few of these babies into my cart when I saw the price. I put them on the lower shelves in my pantry so my kids can see what's inside of them, and grab the snacks they're looking for. These bins are so cute and multi functional, you could easily use them in any area of your home! The handles make them easy to carry, too. When I was looking on the website I stumbled upon these Large Glass Containers, and I instantly loved the look of them! Previously, I had glass containers here, but the lid did not seal like these, and my pantry staples would quickly go stale. These glass containers not only have a great seal on the lid, but they're also so cute. Besides the Cereal Containers, I knew I also needed Expandable Shelf organizers. Talk about a game changer! You can use it un-expanded like you see here, or expand it all the way out to 25 inches. 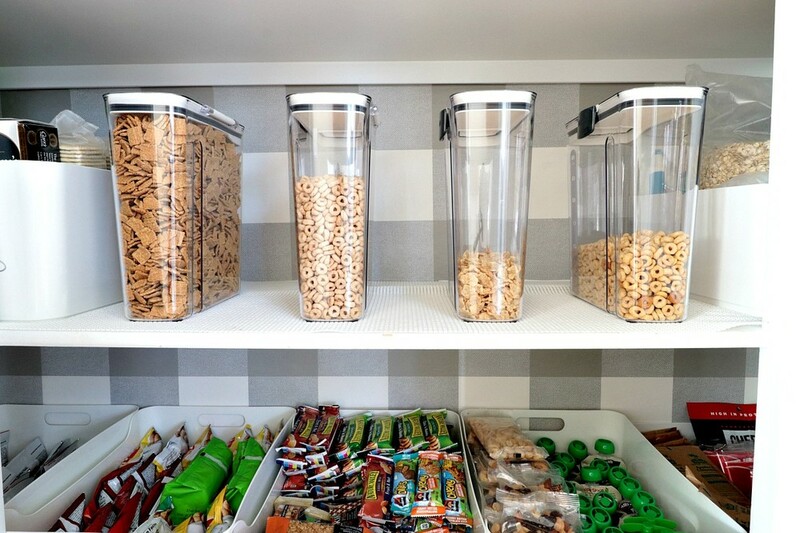 It has three shelves that are are deep enough to store larger items. I love being able to see ALL the items on my shelf now. Here is a picture of the Expandable shelf extended. I put one on both shelves. Even my kids said they could easily see everything now! Plus, it makes everything look so organized and easily accessible. I used a slightly different Expandable Shelf for my canned goods because this one has somewhat smaller dimensions, which I needed for this area. 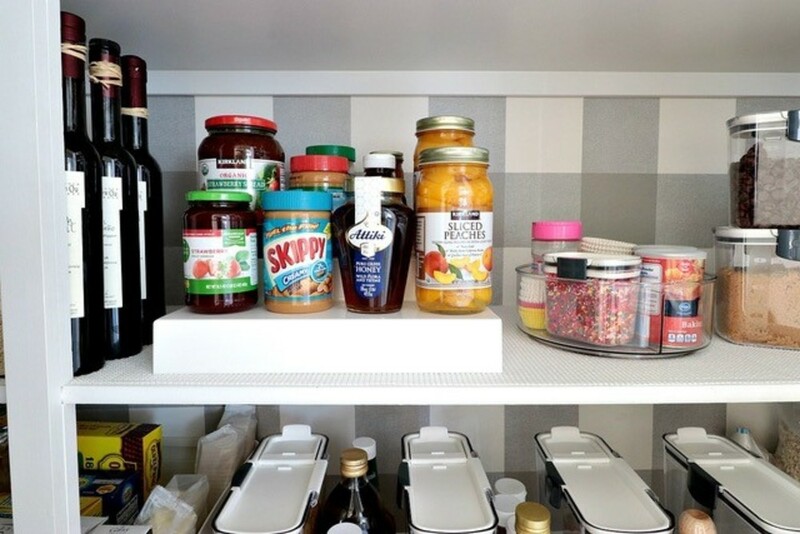 This expandable shelf can also expand to 25 inches and has three rows as well, but it has a smaller footprint when it isn't expanded. As you can see, I was able to double stack my cans which is great because I love having a large amount of canned goods on deck. I have no idea how I lived without these products! 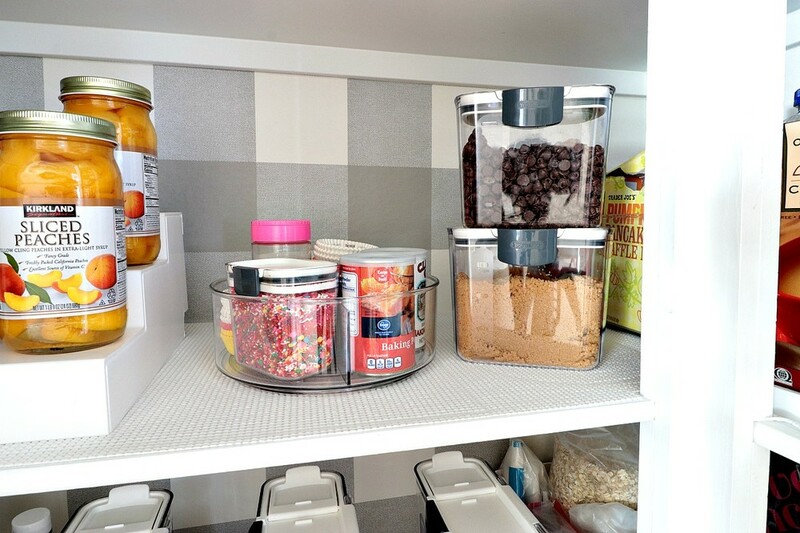 I absolutely love the convenience of this InterDesign Clear Linus Divider, which I use to store some of my baking supplies in it. Simply swirl it around until you find the item you need. It's genius! I also bought the ProKeeper Mini Food container for our cupcake sprinkles. We love sprinkles, so this is PERFECT for our family. The lid has small holes so you can sprinkle slowly, or you can slide the lid open and pour contents out quickly. The ProKeeper Brown Sugar Container is absolutely genius. It has an air-tight seal and terra cotta disk to keep the brown sugar soft and clump free. So smart, right? 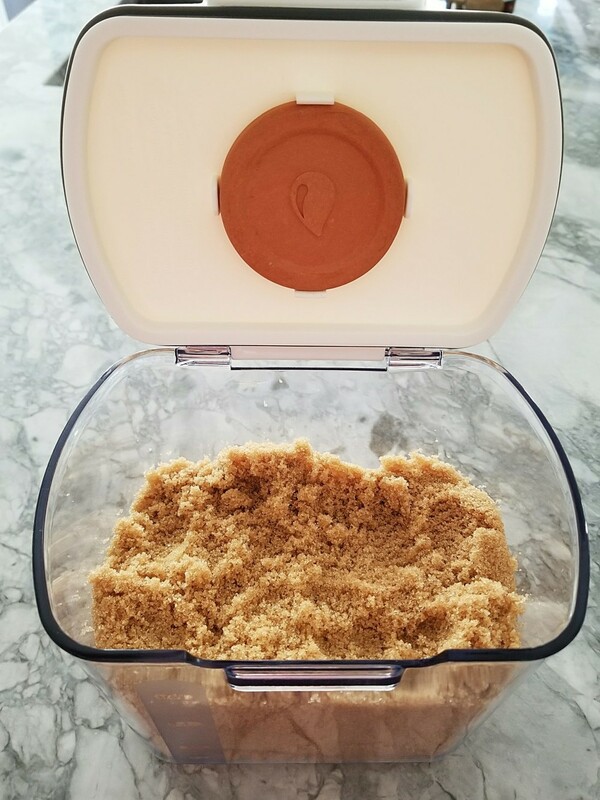 This container can hold up to two pounds of brown sugar! While at the store, I saw this MadeSmart White Lazy Susan. At first, I wasn't sure I needed it, but I'm so glad I bought it. I put all of our condiments on it. I can keep it in the pantry for easy access or have it out during parties! I love how easy it is to give it a little spin. 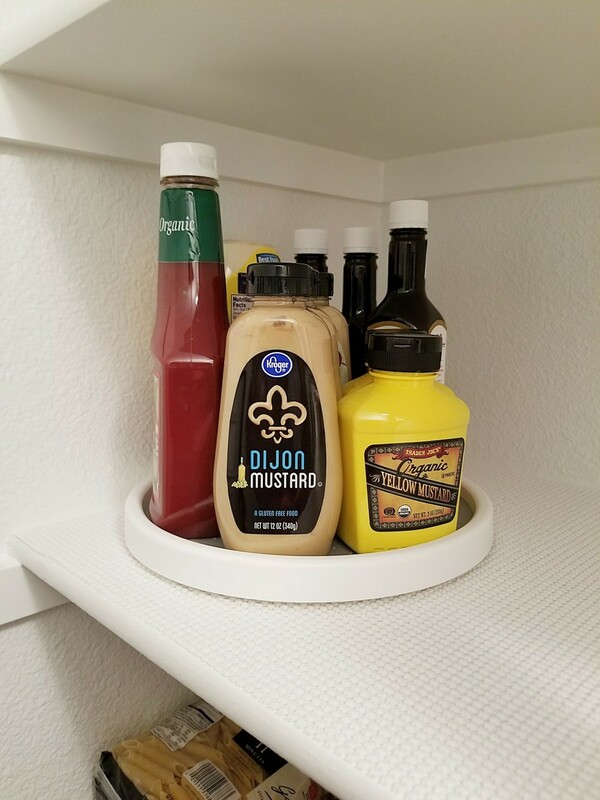 Plus, the lazy Susan fits nicely on the shelf. 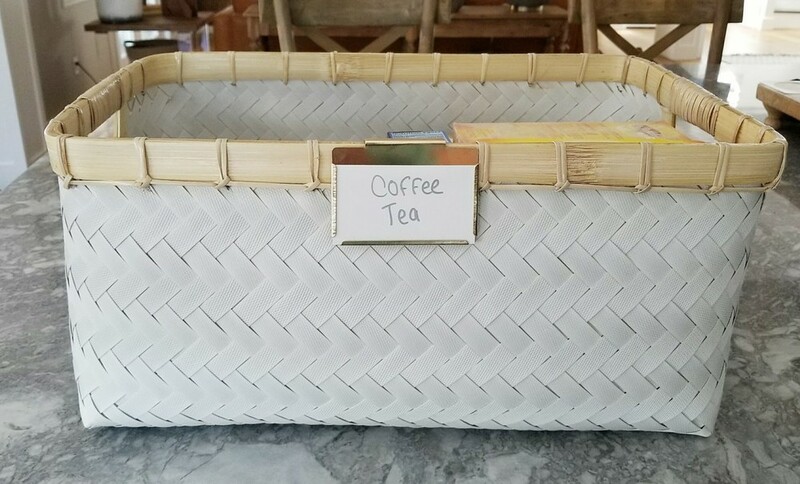 We don't drink a ton of tea, but I like to keep tea bags handy for guests. In the past, I kept them in a baggy or just threw them on the shelf. 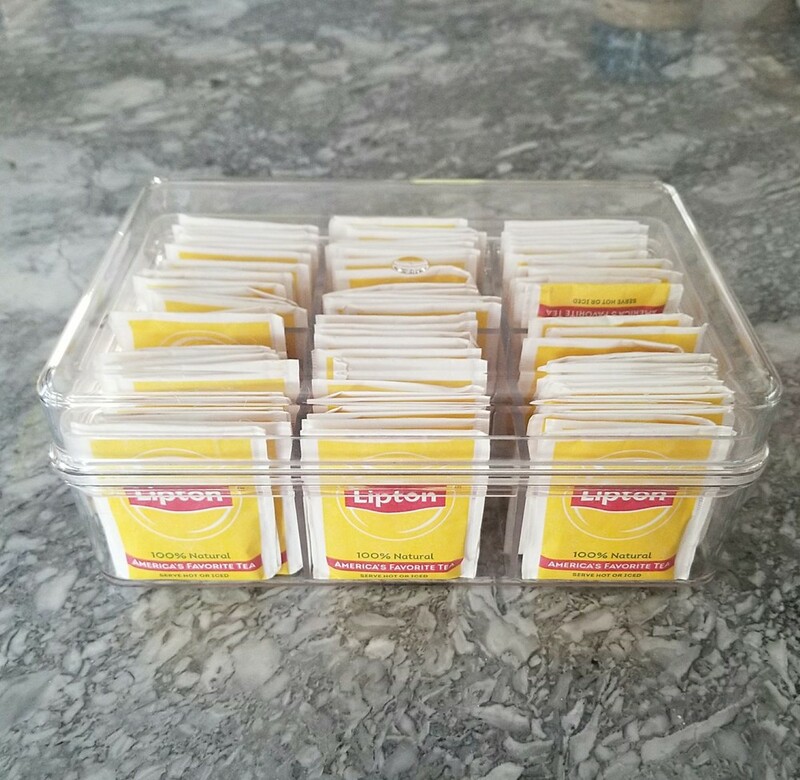 Now, I have them neatly organized in this Clear Tea Bag Storage Container. It also helps keep the tea bags fresher longer. 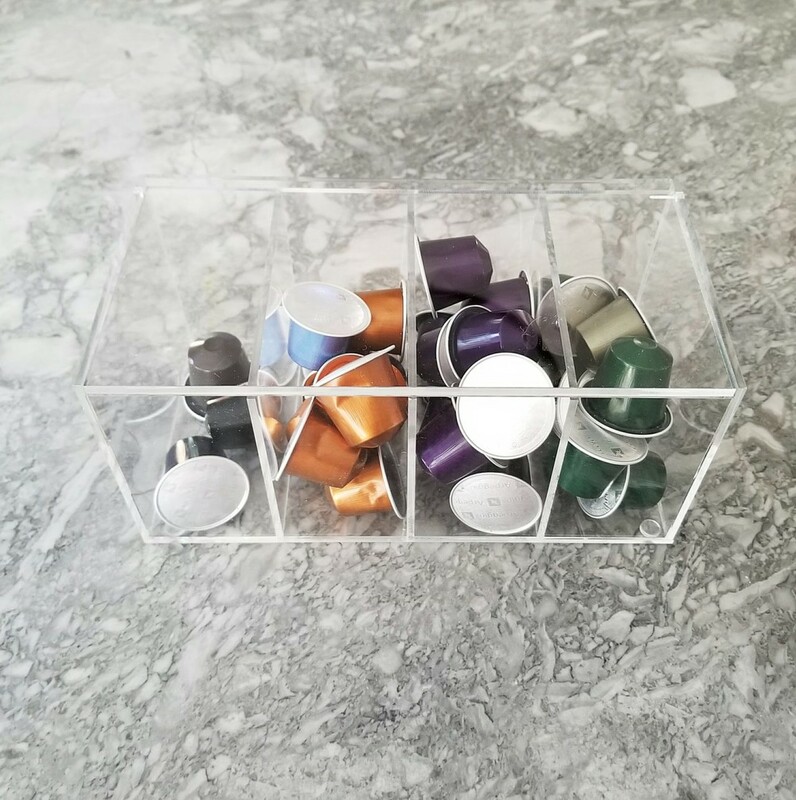 While we're on the topic of caffeine, I wanted to show a picture of this Acrylic Divided Coffee Pod Box. I got my husband a Nespresso machine for Father's Day, and had didn't have anything to store his pods in. While I was on The Container Store's website, I saw this and immediately added it to my cart! I love how the flavors are separated, and so easy to find. Ok, back to the before pics! Look at this disaster. This area turned into a dumping ground for items I didn't have enough room for on the shelves. Plus, it always felt like such wasted space to me. I always wanted shelves on the wall where my aprons are pictured. I never thought I would be able to fit shelves there. There's obviously not a huge distance from the wall to the pantry shelves. Thankfully, The Container Store carries this Platinum Elfa Pantry Door and Wall Rack. It's the perfect size for this space. The largest shelf is five inches deep - which is big enough to fit decently-sized containers, but not so big that I couldn't use it. This might have been the best thing I purchased. Look at how much more storage I added! This was just unused space before. 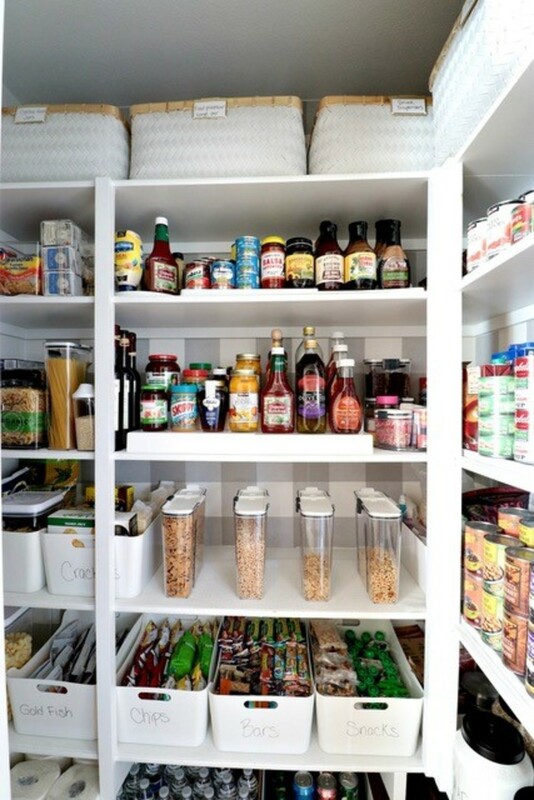 Another cool feature is you can also mount it on the inside of a pantry door. So, if you don't have a free wall - no problem. I found this cute Bamboo Hook while searching down the aisles at the store. 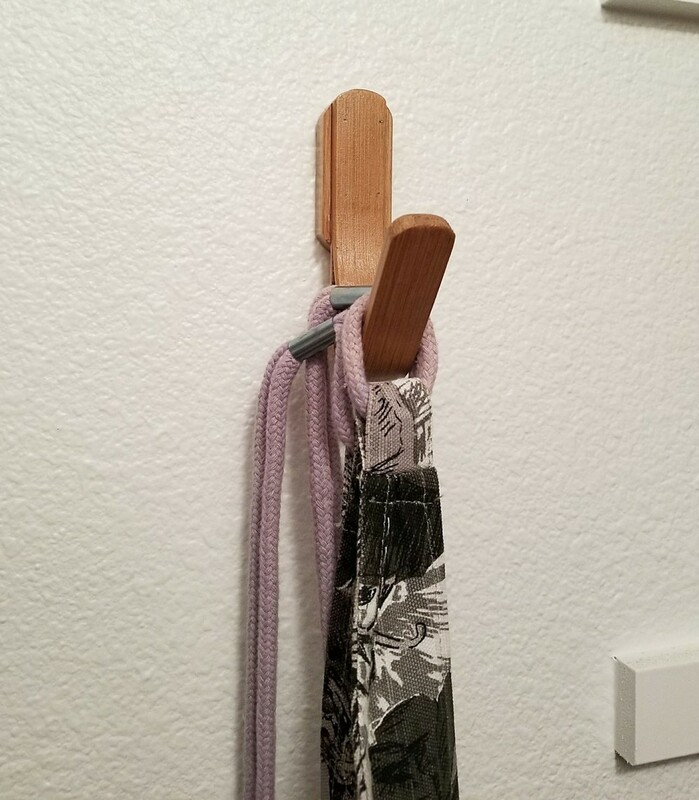 This hook allowed me to keep my aprons in the pantry! And, it looks much better than the one I had before, trust me, it was literally a nail in the wall! 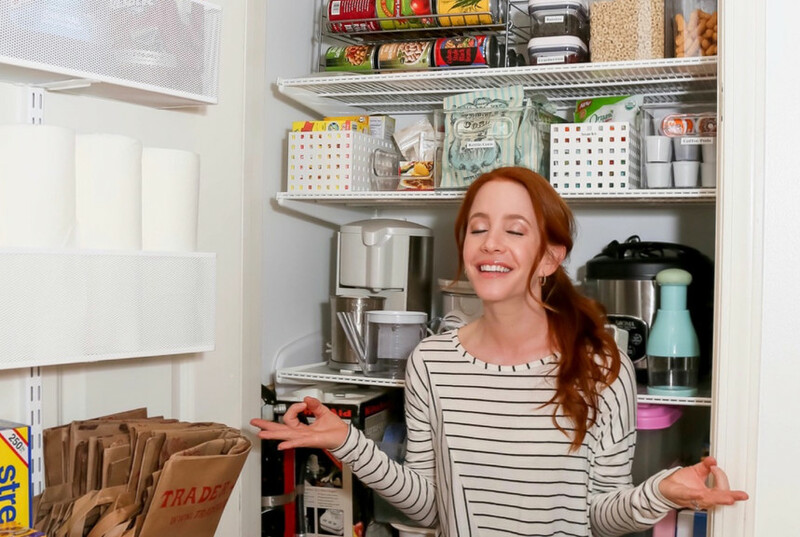 I use the top shelf of my pantry to store miscellaneous items like our food processor, some drink dispensers for parties, tea and coffee, popcorn, glass containers and more. I never liked having all those items on display. I wanted to find some cute baskets to put up there, but I didn't want anything too dark, as dark baskets would make the pantry feel closed in. I was so excited when I stumbled onto these beautiful Hampton Woven White Storage Bins. They happened to be the perfect depth for my shelf. I knew I would also need some labels on them since I wouldn't be able to see what's inside from down below, so I found these pretty Gold Bin Clip Holders. They match perfectly with the White Woven Bins. Doesn't it look so much better up there now? Now, no one has to know I hoard drink dispensers for parties! I grabbed a couple of these Clear Storage bins , which are stackable by the way. I love that I can easily see everything you have inside them. 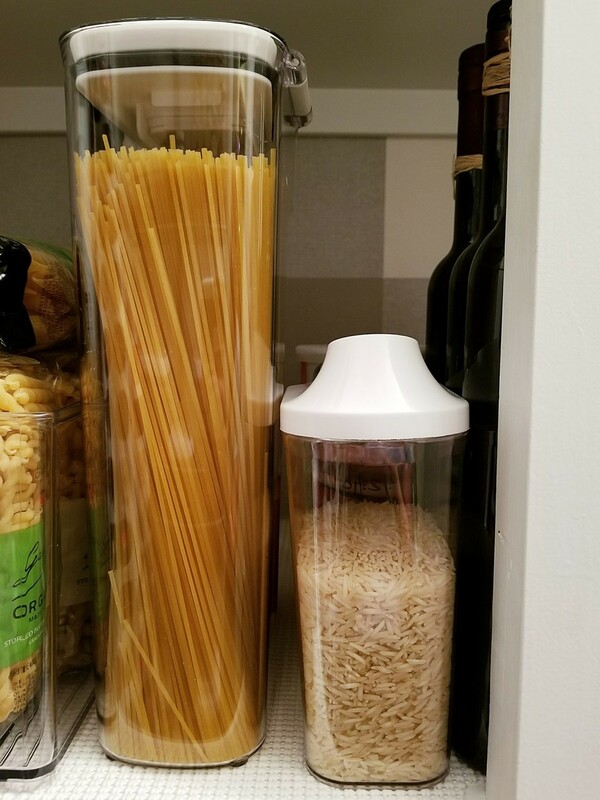 Of course, no pantry is complete without a ProKeeper long noodle pasta container and Slide and Pour Dispenser for rice. I wrote the expiration date on the back of the containers with a dry erase marker. 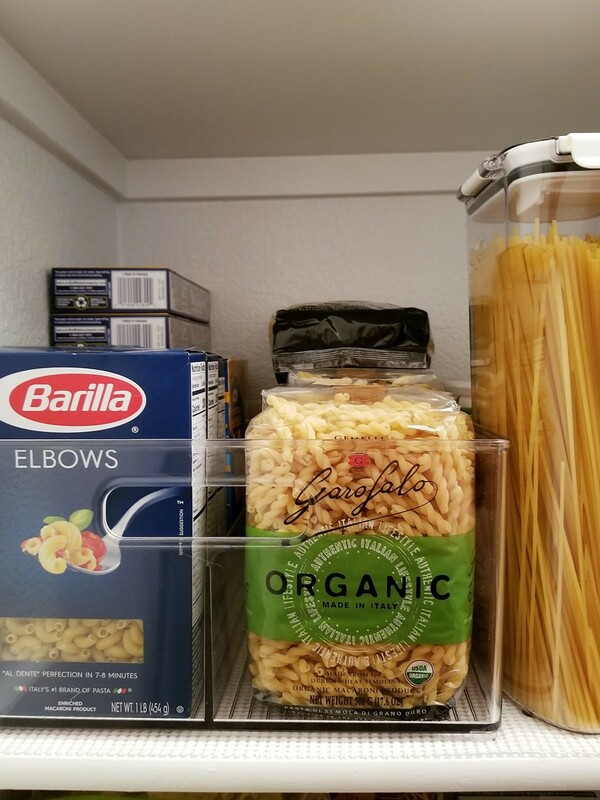 The air-tight containers keep the rice and pasta fresher longer. 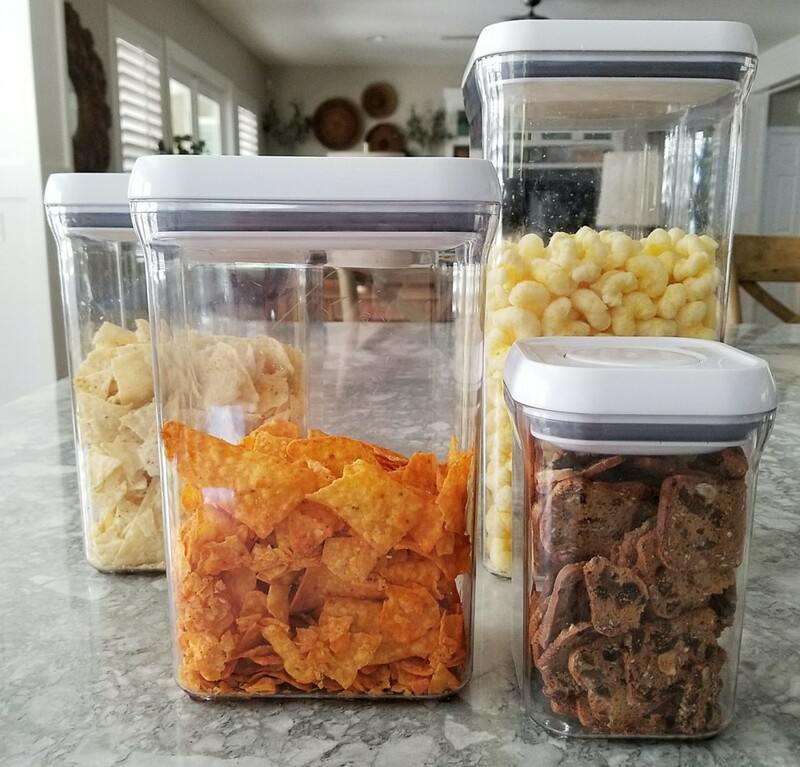 Before starting my pantry makeover, I had seen these OXO Containers on other people's Insatgram accounts. Everyone was raving about them, and I knew I needed to check them out in person. The Container Store has a HUGE selection of OXO Containers in all different shapes and sizes. All of them come with awesome prices! Now that I have been using these containers, I am hooked for life! They are so easy to use. Simply, push the button on top of the lid to open it, and push it again to close it. The seal is incredibly tight. I use them for my kids' chips and snacks. Not only am I a huge fan of these containers - my kids love them, too. They think they're fun to use! 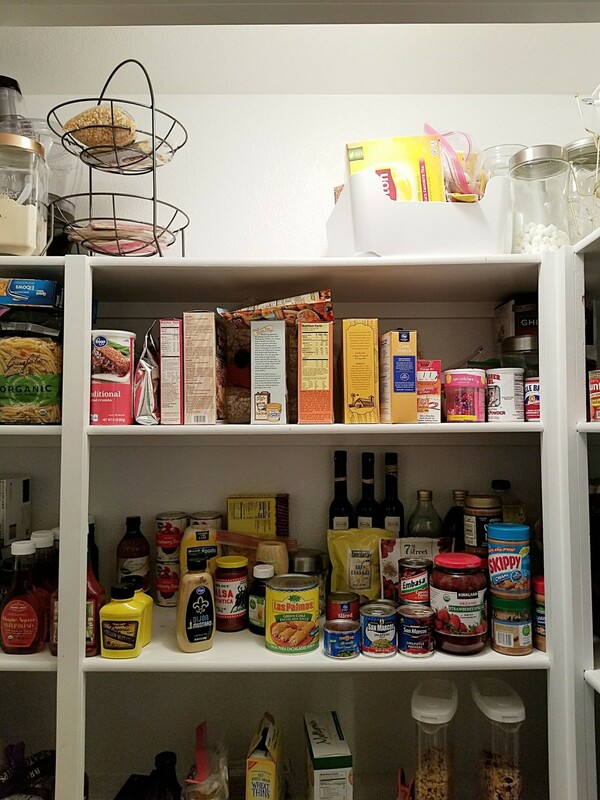 I want to give a big thank you to The Container Store for giving me the opportunity to give my pantry a beautiful makeover - and share all these great products with you! 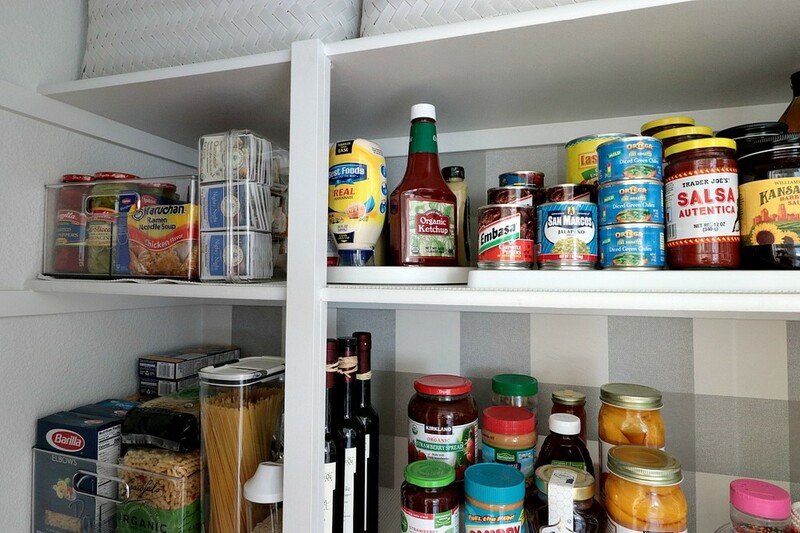 My pantry functions so well now, and it has stayed clean and organized. 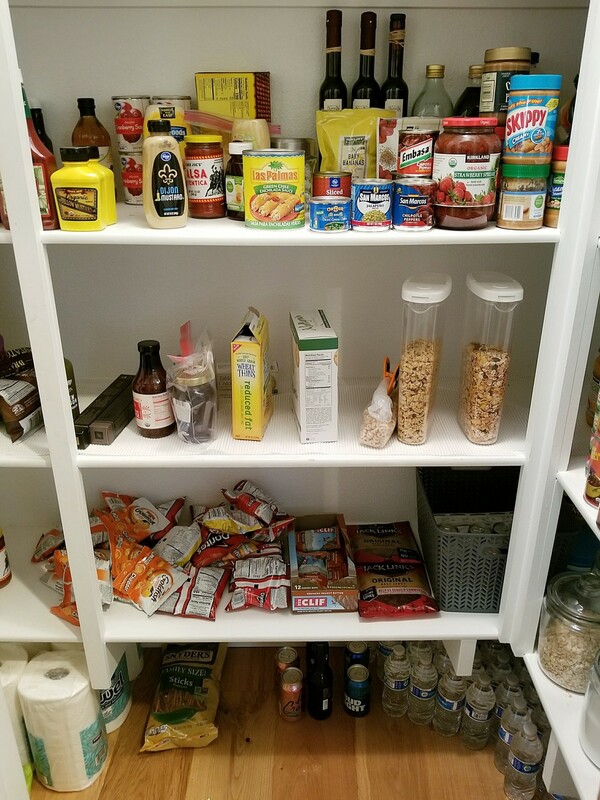 I have more storage space in my pantry than ever before! If you get a chance to go to The Container Store, do it! They have a solution for every organization and storage problem. 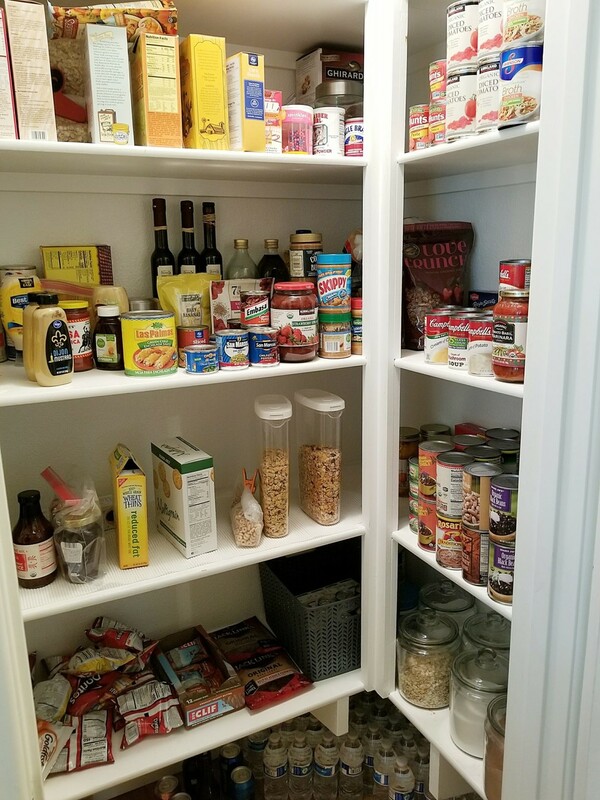 Thank you for reading and I hope this post inspired you to get your pantry organized! Click here to see Jordan's original post. Check out Jordan's Instagram here.